He’s preceded in death, other than parents, by his loving, dedicated wife Ethel Coley Harris; grandson, Matt Shockley; brother and sister-in-law, W. A. and Doris Harris. He’s survived by daughters Angela (Philip) Shockley, Lula Ga and Areta (Greg) Morgan, Gillsville Ga; 3 grandchildren, Robert (Keri) Morgan, Jonathan (Cory) Shockley, and Jessi (Darin) Kimbrell; 6 great grandchildren; brother and sister-in-law, Jack and Sandra Coley; sister and brother-in-law, Judy and Garnett Stephens; brother, Gary Coley, Sr. Several nieces, nephews, cousins, neighbor kin, and many many special friends, too many to name. He has pastored 12 churches, Union Hill Baptist, Banks Co; New Rocks Springs Baptist, Gwinnett Co; Emmaus Baptist, Hall Co; Riverside Baptist, Jackson Co; Little Ebenezer, East New Hope Baptist and Mt. Zion Baptist, all in Gilmer Co; Flats of the Middle Creek Baptist, Scaly Mtn. NC; Pleasant Hill Baptist and Philippi Baptist in Lumpkin Co; Bethlehem Baptist, Union Co; Antioch Baptist, White Co.
Our family vacations were weekly revivals where we would literally stay the week in the town where the church was. A few trips to Cherokee NC and yes we would attend church with the Native Americans. As recent as two years ago he would still drive up to visit one particular church and had to preach a Sunday Night Service. 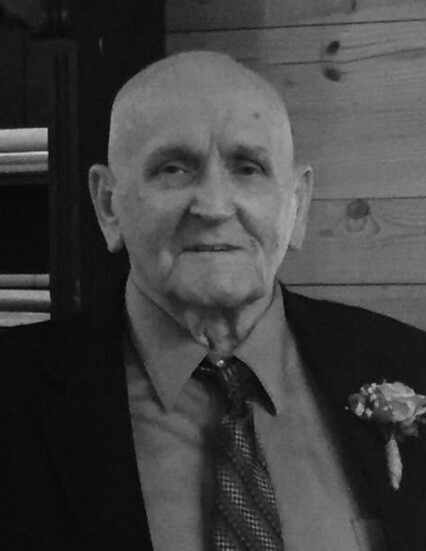 He worked hard in R. O. Pilgrims Café, Gene Tyners Grocery Store, SEALTEST Milk, Flavorich Milk, Atlanta Dairies, Beam Oil, and finally retired from McPherson Oil Co in 2000. He never retired from preaching. He helped in two revivals this year, July at Bethlehem Baptist in Blairsville, Ga and last week at Straightway Baptist in Clermont, Ga.